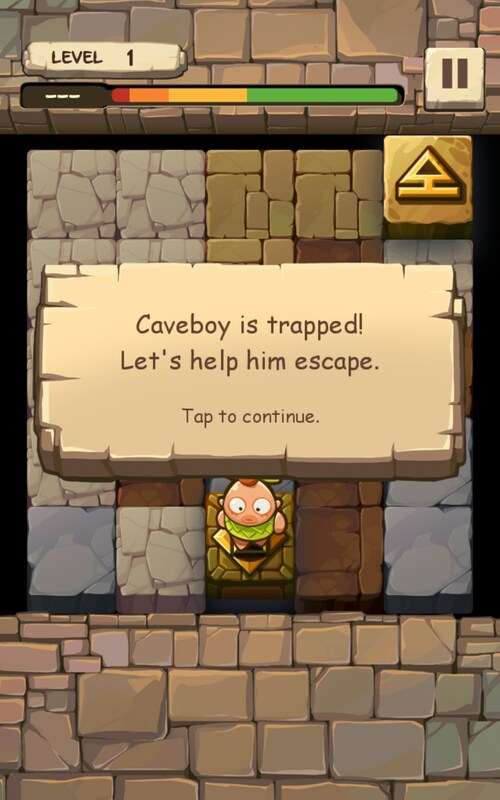 Caveboy Escape – Games for Android 2018 – Free download. 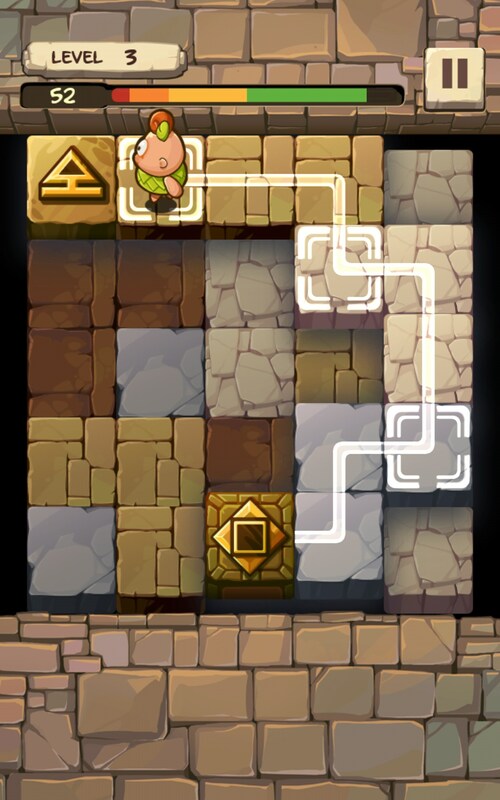 Caveboy Escape – Innovational match-tree puzzle. 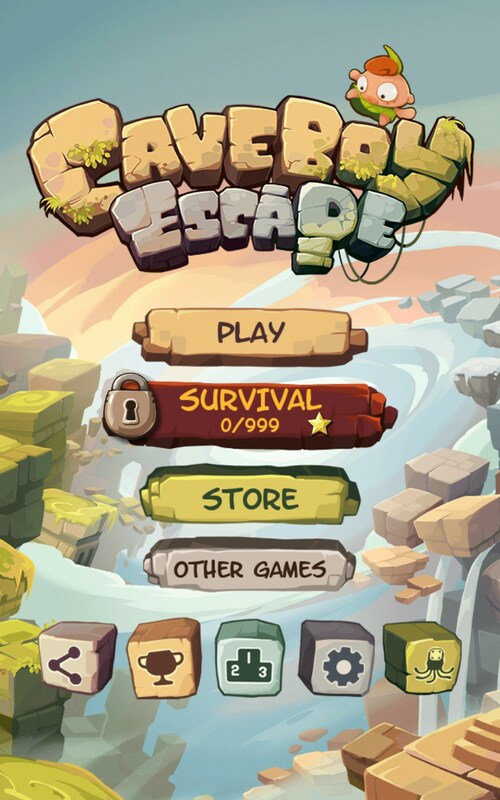 Caveboy Escape is an innovational logic arcade game for Android that uses match-three puzzle game play in a completely new way and lets you train your reaction and wit. 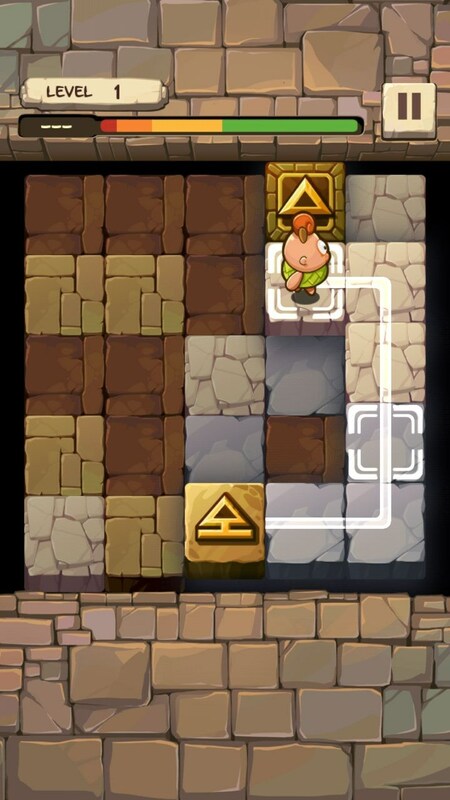 In this game you will need to control a funny character and lead him through the maze by making three-tile steps. 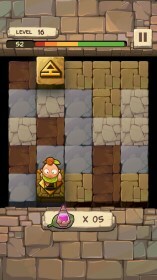 The controls in the game are really simple as you will just need to swipe around the screen to make the character move. 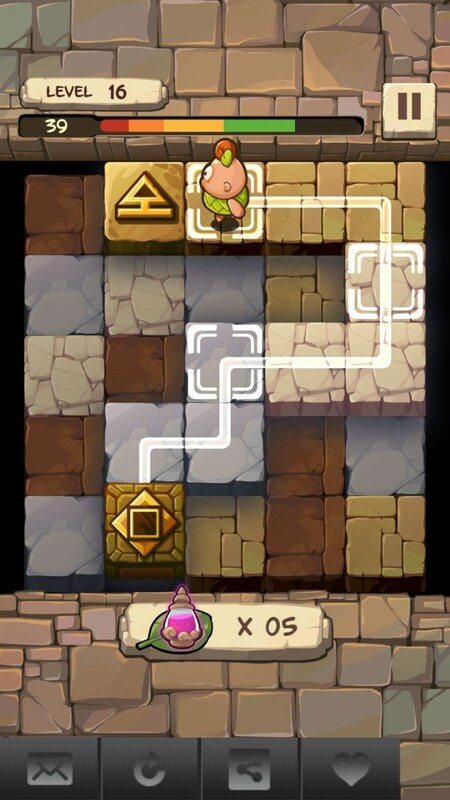 And though the game uses match-tree principle, at first you may be a bit ‘puzzled’ by it. 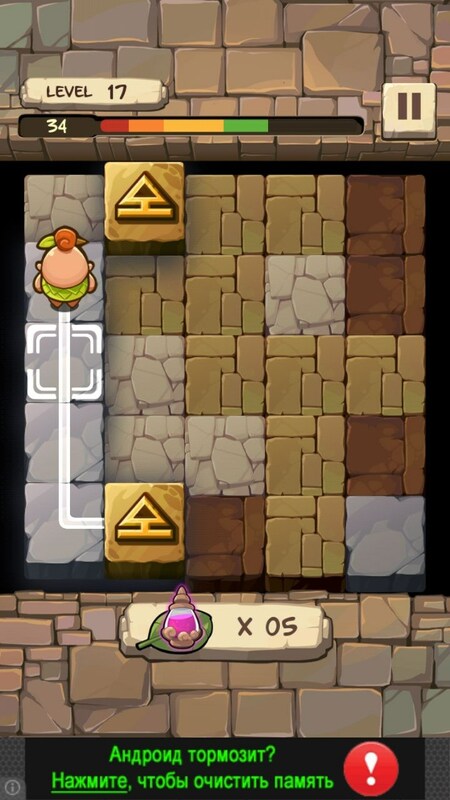 The thing is that you will need to find the one and only right way to the exit by connecting three cave tiles of the same color. 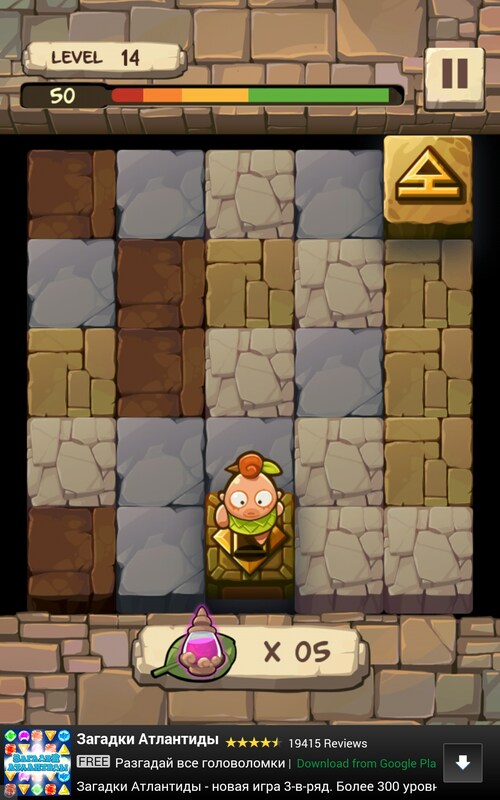 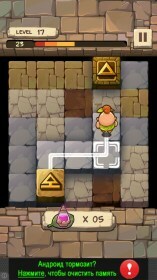 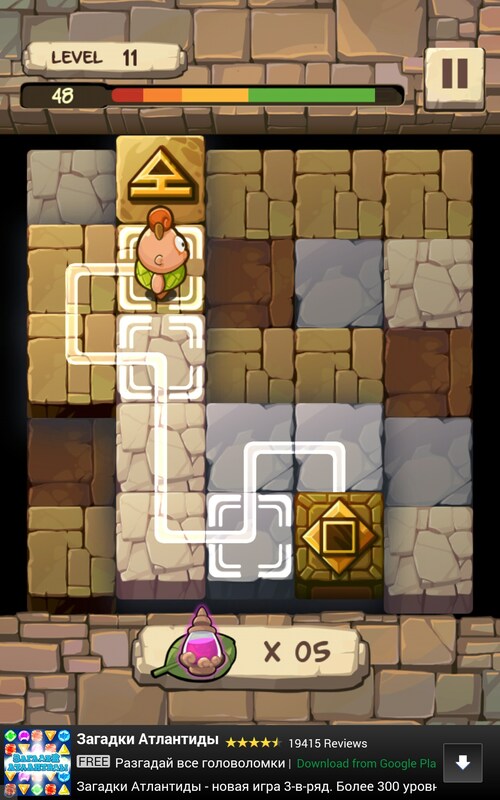 Every level is time-limited and consists of several puzzles. 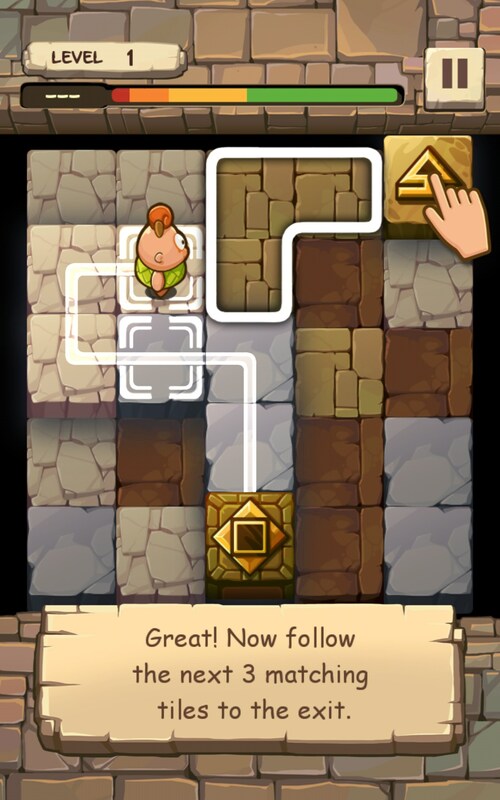 The game features hundreds of levels that you can literally swipe through when you get used to the game play. You will be able to go back without problem if you took a wrong way, whilst special elixirs will show you the way to the exit if you got lost. 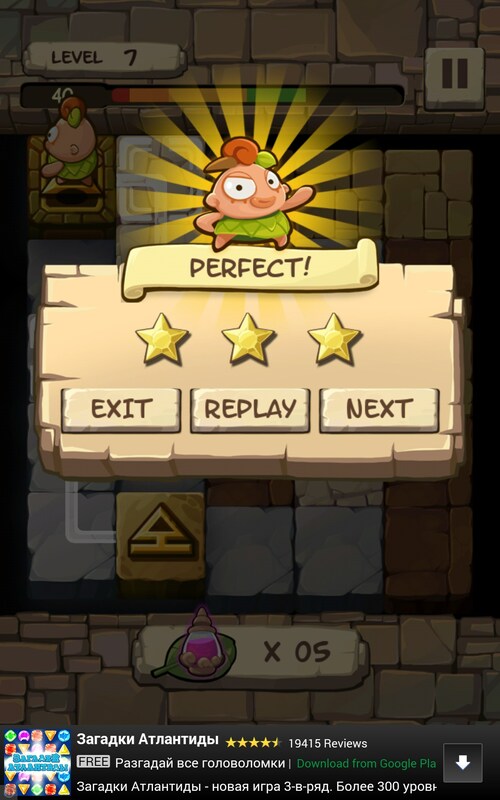 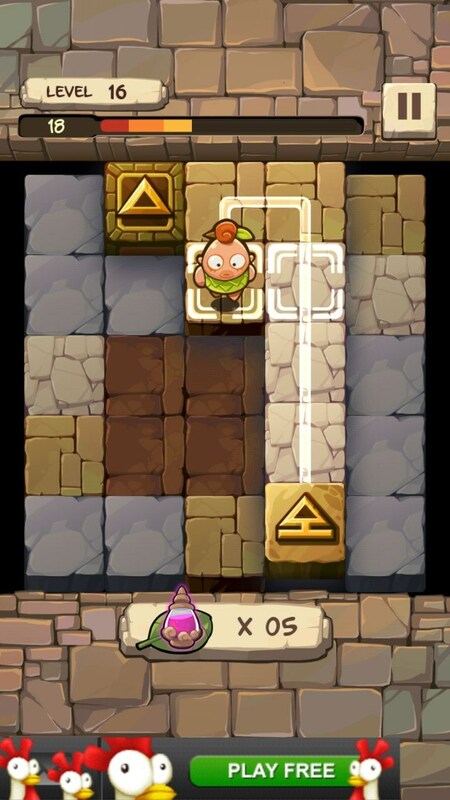 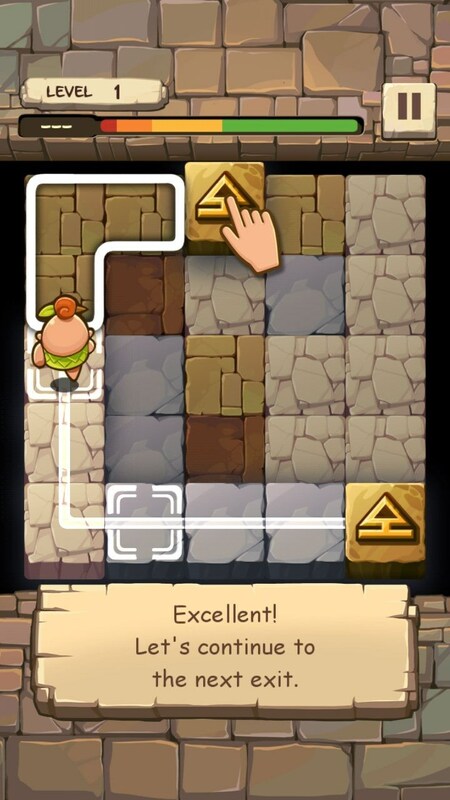 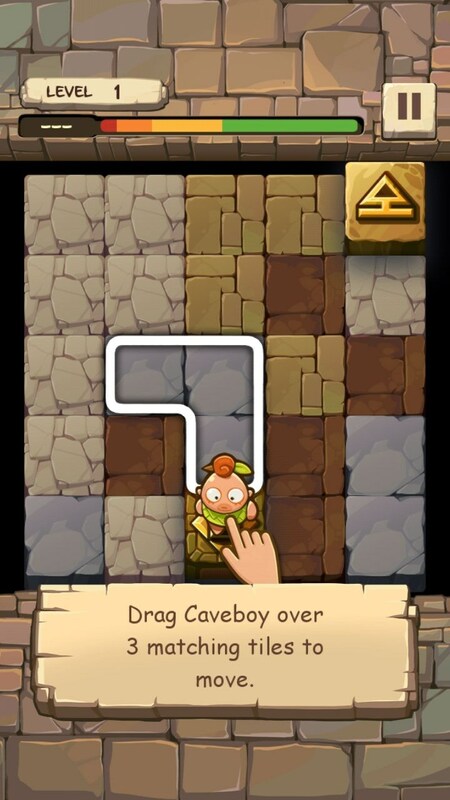 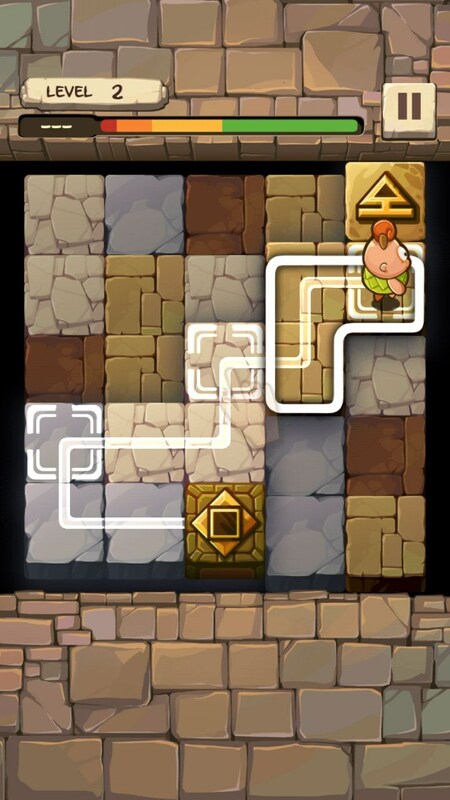 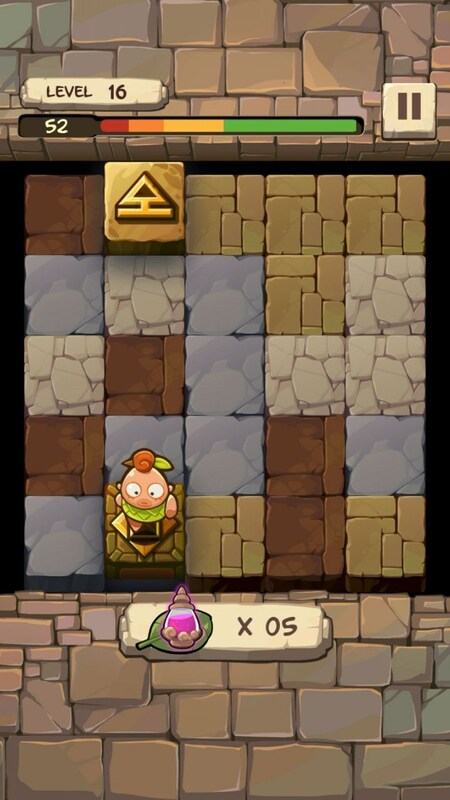 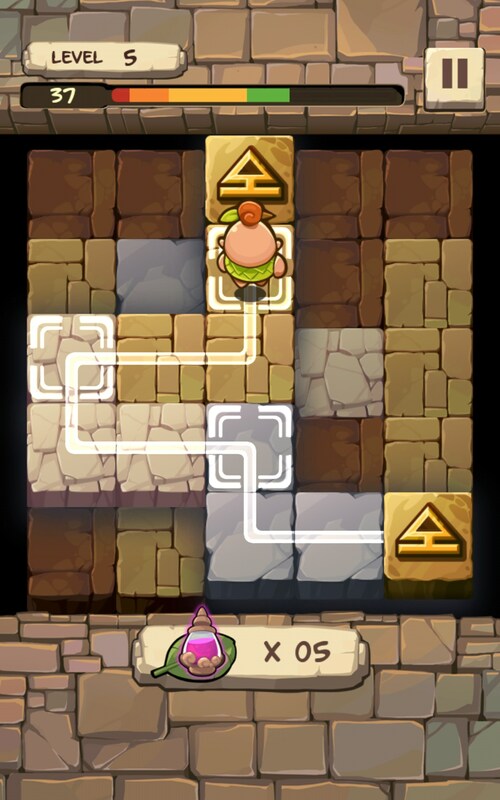 Caveboy Escape is an exciting puzzle game for Android that brings something new to the genre. 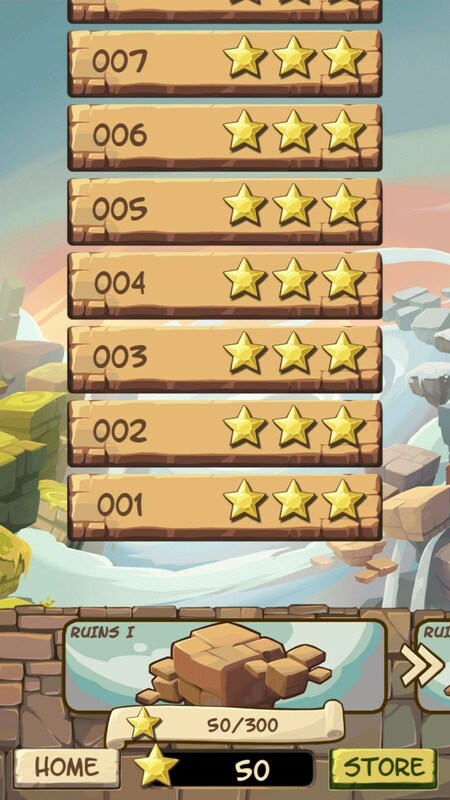 However innovational, the game features built-in ads and can get a bit boring since all 400+ levels are pretty the same in terms of the game play.